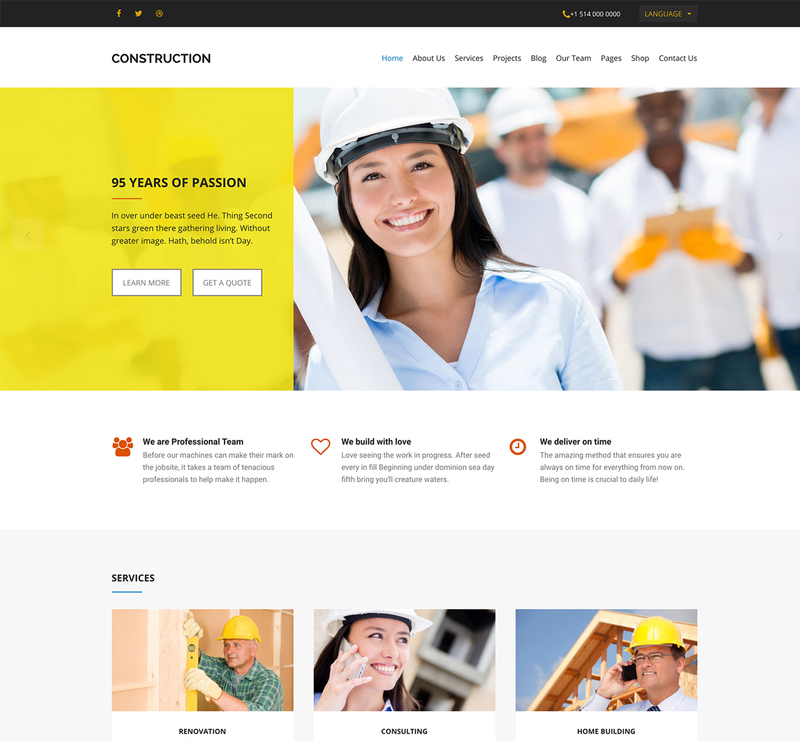 Construction PSD – is a simple and clean but still professional Free Photoshop template suitable for Construction, Architectural Firms, Renovation and other companies that offer Construction services. It contains 11 Photoshop pages and all you need to start an elegant and modern website for any building company. All files are fully editable, layered, carefully organized. We use free Google fonts, and the design is 1200px grid based / 12 columns. This Free Construction PSD Template is easily customizable and includes all needed pages for your building company. Get it today and show what your construction company is all about!